THE Northern Ireland Housing Trust agreed a youth centre costing between £6.000 an £7,000 in the Knockmore / Old Warren area in October 1969. 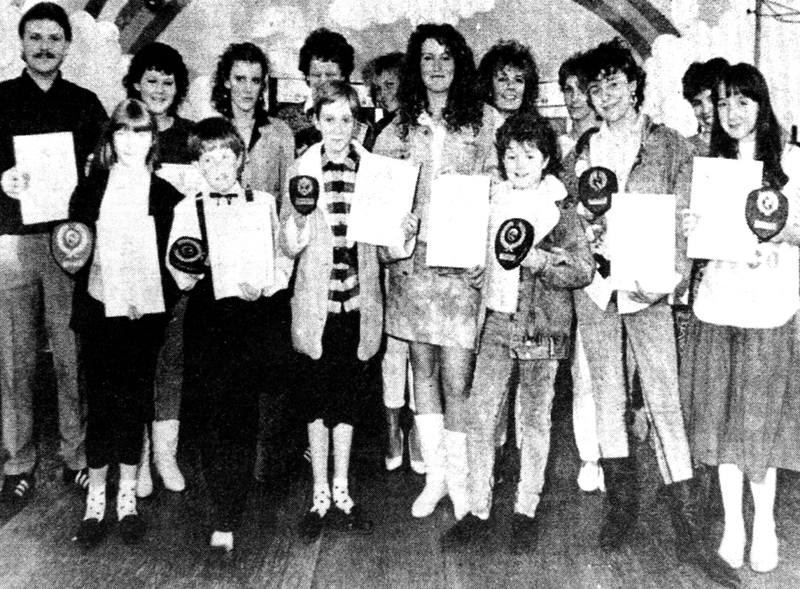 The youth centre was to be a wooden structure of a temporary nature, and providing the relative plans were passed by Lisburn Borough Council it was due to be in use early the next year. The Trust had also agreed to provide a children's playground in both the Knockmore and Old Warren estates, but swings would not be provided. At least one soccer pitch could be expected for the area within the next 12 months. Over 100 teenagers heard the good news and the young people had already elected a committee to help run the centre who were sure to be kept busy over the coming months. AS The Ulster Star celebrated it's first anniversary in October 1958, the paper looked back at the previous year. It was also reported that four youths between the ages of 17 and 19 and seven boys, aged 14 to 16, were all fined £6 each a t Lisburn Petty Sessions after having been accused of stealing about 2/- worth of apples from an Orchard. They were also accused of maliciously destroying or damaging with intent to destroy three chrysanthemums in the garden and maliciously damaging a window. Elders of Railway Street Presbyterian Church before their ordination in 1969. 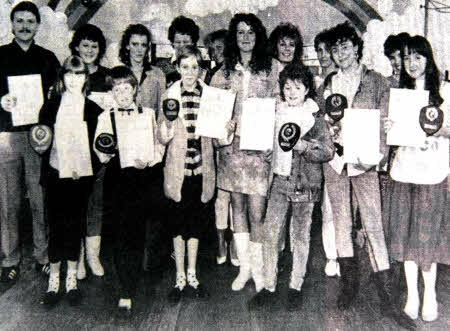 Local television presenter Shauna Lowry presented prizes to the winners of the Youth Against Vandalism competition, organised by Lisburn Youth Council and the South Eastern Education and Library Board in Stevenson's Youth Club, Dunmurry in 1999. 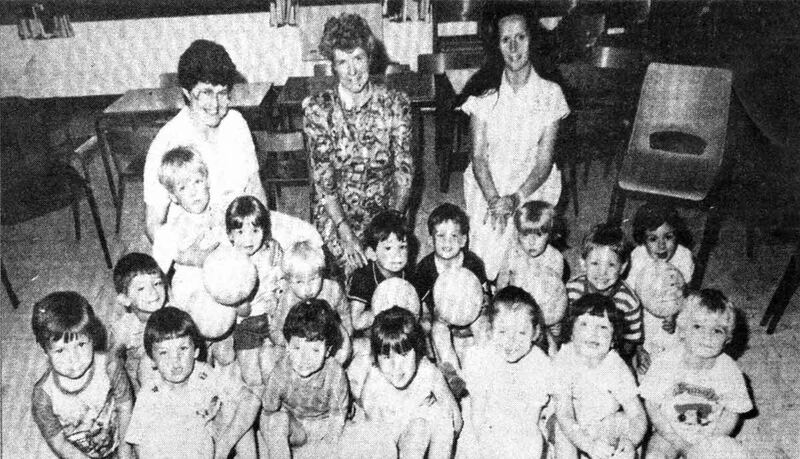 A special farewell to the children at a playgroup in Dunmurry was held In July 1986. Saying goodbye to the children at the playgroup were the three staff, Mrs. Iris Coey, Supervisor, Mrs. Janet Kingsbury, Supervisor and Mrs. Jean Waddell, Helper. TWINBROOK boxer Liam Cunningham was looking forward to one of the biggest challenges in his short career in June 1999, after being chosen in the Irish team for the World Boxing Championships in Texas. The 21-year-old flyweight champion was the only boxer from Northern Ireland selected in the five man team due to travel to Houston that August. The selection completed an almost perfect 12 months for Liam after his Commonwealth Games silver medal the previous year. He had certainly impressed the Irish selectors with his performances and in Houston he 's would have the chance to test his ability against some of the best amateur fighters in the sport. 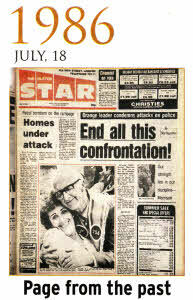 ACTION against drivers who parked on footpaths was being discussed in October 1971. The council were to look into the issue after raising the matter at a council meeting. With certain vehicles parked on the pavement every morning, it was discussed ho driver in Dublin was prosecuted for parking on the foot path. The issue was to be look into further. OCTOBER 1971 brought the news that water rationing in the Lisburn Borough Council area and areas under the control of the Lisburn Rural Council and Hillsborough Rural Council came into force and would continue until further notice. Supplies were cut off or severely curtailed for 12 hours daily, beginning at eight o'clock in the morning and ending at 8pm. The emergency measures were announced by the Belfast Water Commissioners through whose system the Lisburn and Hillsborough areas received the bulk of its water supply. Water rationing had been forced on the Water Commission because of the severe drought, rapidly increasing consumption since 1970 and wastage in which normal losses had increased by damage and destruction to property. Under the present emergency the use of water for car washing and garden purposes was prohibited and an appeal had gone out through the three councils to people to economise as much as possible. Householders with storage tanks, it was felt, should be able to cope from day to day and extra care should be taken in respect of boiler grates and hot water heating systems.